As in the past, tickets for the High Holiday services will be distributed at the synagogue on the following dates to members in good financial standing. Just stop by at CBT to pick up your tickets at these times. If you prefer and are up to date with your dues, your tickets can also be mailed to you. Please call or e-mail Melissa in the CBT office (856-983-8090). Please remember to bring your tickets with you to services as ushers will be checking tickets. Members can purchase tickets for relatives who wish to join them at High Holiday services but are not members of CBT themselves. The cost for tickets is $65 per person. This includes all High Holiday services. These tickets may be obtained at the synagogue at any of the above times of ticket distribution. We also make tickets available to members of the general public. Information on these tickets can be obtained by contacting Melissa in the CBT office (856-983-8090). Selichot, the kick-off to the High Holiday season, is being held at CBT this year. Come Saturday night September 5 at 8pm for a thoughtful discussion and service as we enter these Days of Awe. Also join us for the Tashlich service on the first day of Rosh Hashanah Monday September 14 at 5:30pm. Note! New location this year: Fountain Farms Park in Cinnaminson at the intersection of Willow Dr and Fountain Ave. “You will cast into the depths of the sea all their sins” (Micah 7:18-20) and you will find meaning in this ancient custom. On Yom Kippur, stick around after the regular Musaf service for an intimate shiur (study session) on suffering with Rabbi Nathan. Then, beginning at 4:00pm on Yom Kippur, join Rabbi Nathan for our first-ever service of healing. Together, participants will sing, chant, share, and pray for healing of the body, spirit, and soul. Join our TLC: Tikvah Learning Community members for fun, engaging, and meaningful Rosh Hashanah and Yom Kippur youth services and activities, led by Rabbi Nathan and our teachers. On both days of Rosh Hashanah and on Yom Kippur, the youth program will run from 10:30am to 12:30pm, and will include a snack. Parents may wish to return with their children to the main service after the youth program to hear the sounding of the shofar on Rosh Hashanah. Children are also welcome to remain in the main service throughout. Please remind your children about appropriate behavior during religious services. 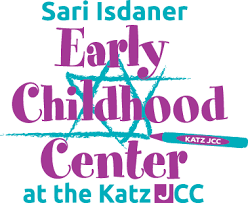 On the first day of Rosh Hashanah and on the day of Yom Kippur, we will offer supervised babysitting for the littlest set (pre-K) from 10:30am to 12:15pm. Toys and stuffed animals will be available, and please feel free to bring your own as well. Parents with infants are also welcome to use the babysitting room as a quiet place to take a break together.